Whether you just purchased a new home or need to relocate to a new city for work, there’s a lot to do when it comes to preparing for a residential move. Some movers are downgrading and putting items in storage when planning an interstate move, while others are moving into a bigger place and making local moves in Massachusetts. No matter what type of move you are planning, you can always benefit by hiring professional Natick residential moving services through Statewide Moving Company. Our team has many years of experience providing local and interstate moves for residential and commercial clients in the Greater Natick area. We can help make your move a worry-free experience by taking away the physical labor demands and logistical worries that often occur in the midst of a move. A survey was conducted of individuals who had moved in the past 12 months that revealed the number one aspect of moving that most people dread: packing! So why not leave the packing to professionals when you are planning an interstate move or a relocation in the local area? Our team is highly trained and experienced at packing up residential items. We can secure your treasured belongings and fragile decorative pieces to ensure that they arrive safely at your destination. We have all of the boxes, packing materials, and tools necessary to get the job done in a fraction of the time that it would take you to do it yourself. Speaking of equipment, we’ve got all of the tools and equipment needed to make local moves in Massachusetts go smoothly. Live in an upstairs apartment? No problem. Own a home with lots of stairs? We can take care of it. Do you have a large piano or big piece of furniture that needs to get moved? Our team can handle it all. Whatever your needs, our team will assess the situation and ensure that we have the proper professional moving equipment on hand to protect your belongings and facilitate the move as quickly as possible. 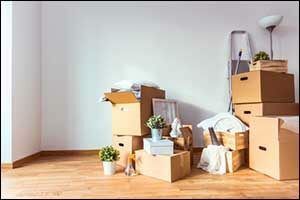 Have you ever moved and “lost” a bunch of boxes and items because you couldn’t remember where you put them? When you hire a professional moving company in Natick, Massachusetts to take care of your residential move, you also get professional inventory services. This helps us to keep track of everything that we move, but it is also helpful to our customers so they can be sure that all of their belongings make it from point A to point B. We also do this for insurance purposes to provide our customers with the ultimate moving protection. Speaking of insurance, another advantage of working with a professional moving company for your Greater Natick residential moving services is having the option to purchase residential moving protection. Statewide Moving Company offers moving insurance for both interstate and local moves in Massachusetts. We also offer protection for packing and loading, as well as unpacking and unloading at your destination. There are two options for valuation, including a FREE Coverage option and a replacement coverage program, depending on your needs. Did you know that you can save money by hiring a professional moving company in Natick, Massachusetts? It’s absolutely true. The cost savings can be seen in the money it takes you in gas to run around town hunting down boxes, tape, and packing materials; buying pizza and drinks for friends who help you load and unload the truck; and the rental cost, gas, insurance, and other fees associated with renting a moving truck. When it all boils down, it is actually cheaper to pay someone to do it all for you than to try and do it yourself. Having the knowledge, experience, and equipment to do the job right gives professional movers the advantage to expedite the moving process. What might take you a whole week to pack up can be packed in hours by our experienced team of professional packers. What might take you all weekend to load and unload when planning an interstate move or doing local moves in Massachusetts, can be completed in a single day by our team of knowledgeable and highly trained movers. You will be surprised at how quickly and professionally our team works to get the job done. We take the pain out of moving and make it easier for you to just settle into your new place. The biggest reason of all to consider hiring a moving company in Natick, Massachusetts is that professional movers can help to reduce the stress associated with moving. Stress can be seen in every stage of the moving process, and while you still need to make all of the arrangements with utility companies, school districts, post offices, and the like, our team can take care of everything else so you can focus on what matters and not lose your mind in the process. Our motto at Statewide Moving Company is “Making Your Move a Worry-Free Experience,” and we absolutely mean it. This is not just a goal, but something that we have worked to achieve in our many years of experience. If you would like a FREE QUOTE for any of our Natick residential moving services, give us a call at 508-620-6411. We serve the entire New England area for local and interstate moves, and we also have locations in Framingham, West Yarmouth, and West Bridgewater. Ask about our storage solutions and moving services for high-value or sensitive items, including antiques, pianos, artwork, and much more.